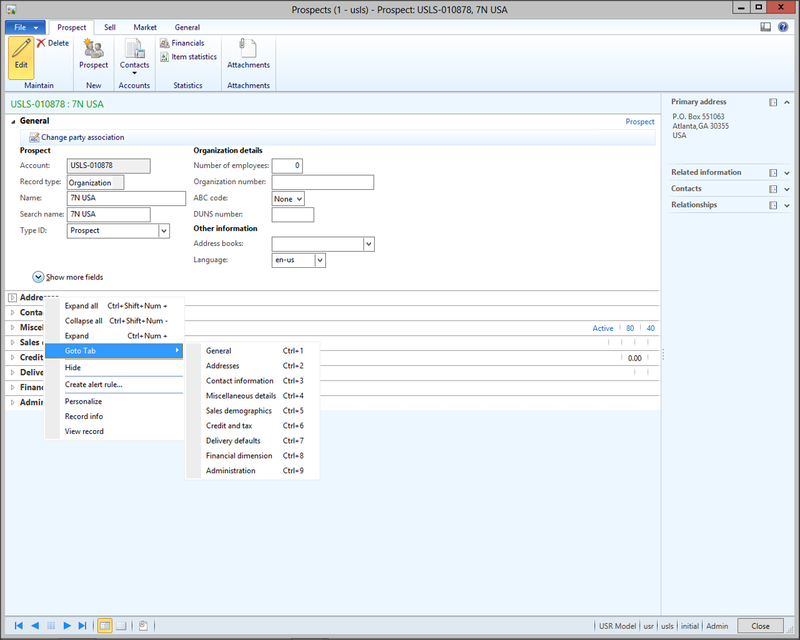 If you live and die by the keyboard, and only touch the mouse as a last resort then opening up a maintenance form within Dynamics AX 2012 is probably killing you because there are all of the tabs that you need to open in order to access the grouped data fields if you haven’t learnt the shortcut key to jump directly to the tab. All you need to do is press the CTRL key and the tab number that you want to access, and Dynamics will take you directly there without the use of the mouse. 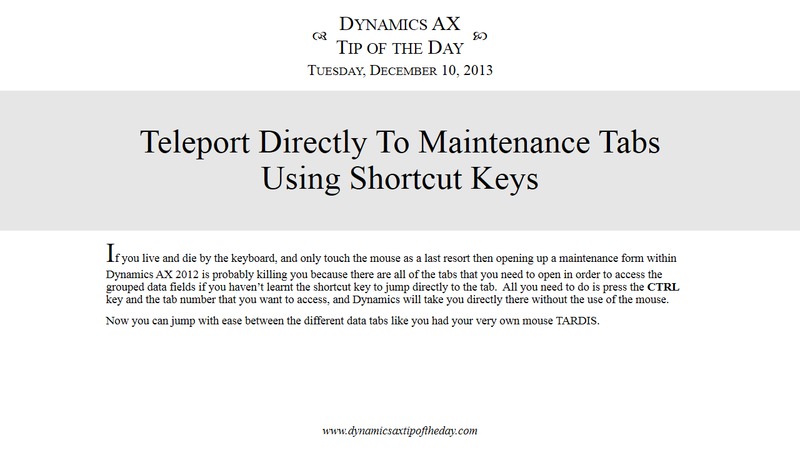 Now you can jump with ease between the different data tabs like you had your very own mouse TARDIS. If you right-mouse-click on any of the tabs in the document view, and select the Goto Tab menu item, you will be able to go directly to any of the tabs just by selecting them. But notice all of the shortcut keys that are associated with the tabs. To go to them without having to use the menu, all you need to do is press the CTRL key along with the tab number that you want to open up. 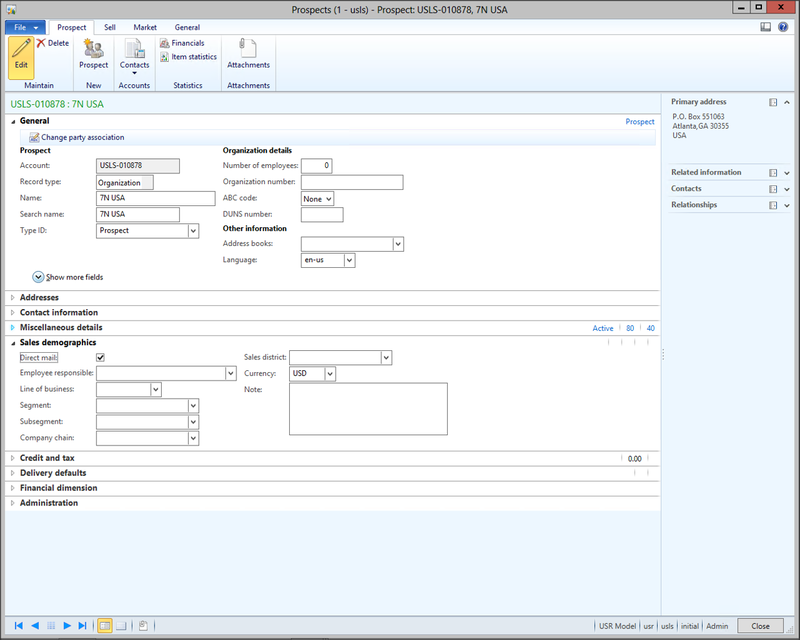 For example, pressing CTRL+5 will take you directly to the Sales Demographics tab within the prospects form.